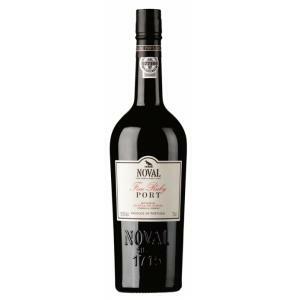 The winery Quinta do Noval elaborates this Noval Fine Ruby ($17.04), a fortified wine from Port with a blend based on tinta çao, port, tinta roriz, touriga nacional, touriga francesa, tinta barroca, tinta amarela and tempranillo grapes and shows an alcoholic content of 19.5%. At Uvinum, this fortified wine scores an average rate of 4 of 5 points and obtained the following scores: robert parker: 89. A very nice bodied wine. It is a very recommendable Portugal. Wine and friends always pairs very well . Nice and pretty colour. This is what is called a fleshy wine. The Noval Fine Ruby 70cl pairs well with meat. 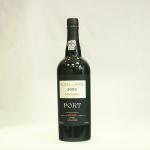 If you want to buy Noval Fine Ruby, at Uvinum you will find the best prices for Port fortified wine. Get it at Uvinum, fast and 100% secure. We bring you the largest catalog of more than 59.000 products becoming this way the leading marketplace to sell wine, beer, and spirits in Europe with more than 38.000 clients who trust us.